I have begun a 10-day juice fast with some friends and I wanted to share today’s lunch with you. 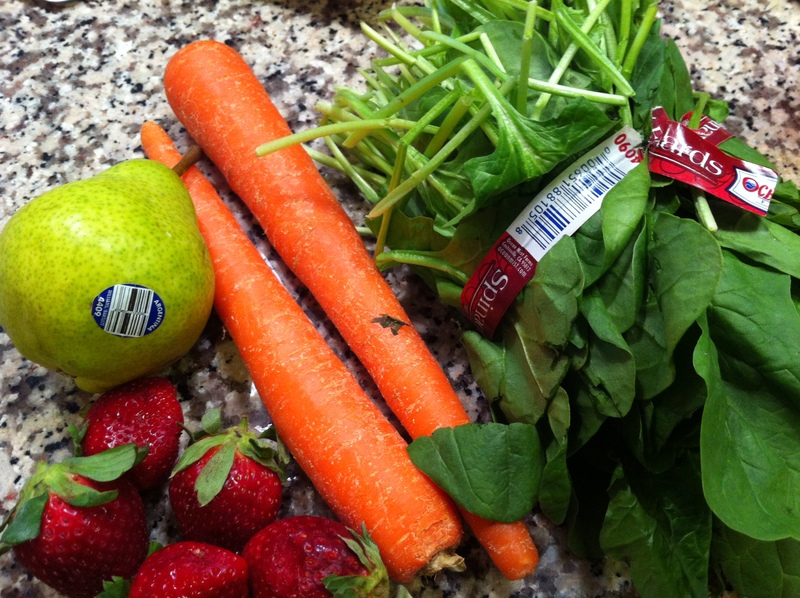 Give it a try, you may find that you love juicing, too! Chop fruits and vegetables as necessary, just small enough to fit into the shoot of your juicer. Feed all produce into shoot carefully, making sure to keep your cup securely under the spout to avoid spills. You may choose to chill your juice for about 10 minutes in the refrigerator but it is ready to drink as soon as juicing is complete. Stir and enjoy!